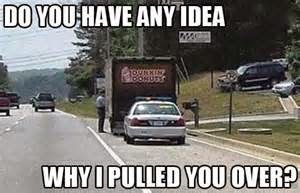 Dumbass Traffic Stop Photo of the Day: Cop & Donut Irony! Sir, I'm gonna need you to open the back of the vehicle, so I can check for drugs. No, I won't be needing a dog, I've had extensive training in detection, myself. It's always nice to see such a dedicated Civil Servant going above and beyond the call of duty. Hasn't it always been a long-standing tradition for cops to make their "donut stops"?